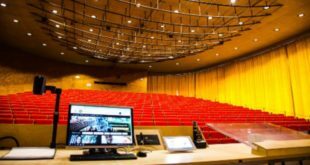 The Royal Albert Hall’s audio supplier Sound by Design has installed a new sound system at the world-famous venue. 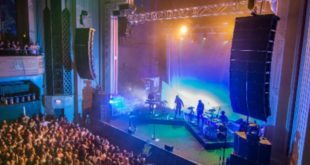 RAH’s long-serving provider, which had its contract with the concert hall renewed back in September, picked the new HALO Compact system from UK loudspeaker specialist EM Acoustics for the project. The small-format line array was primarily chosen for its "outstanding accuracy, coherency and ability to maintain control of the dispersion over a distance of 50-plus metres,” according to Andy Callin, Sound By Design’s founder and managing director. 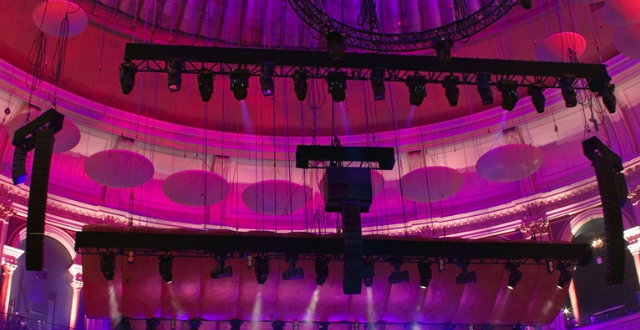 EM Acoustics’ operations director Mike Wheeler added: “When we launched HALO Compact in the Royal Albert Hall exactly a year ago with the live performance of Fantasia from the London Philharmonic orchestra, the Sound By Design team had nothing but praise for the system then – so it’s fitting that our year should culminate with a permanent installation in this landmark venue." The system is made up of 88 HALO-C line array elements; a custom 4 x 18” flown cardioid subwoofer; two EMS-118 subs, plus one AD-9 amplifier; 14 AQ10 amps and four DSC48 loudspeaker management units. 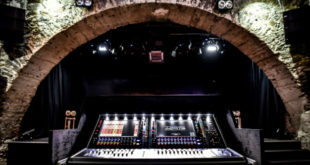 Sound By Design also provided six HALO-C and two EMS-118 subs as a separate stand-alone mobile system for the Elgar Room. 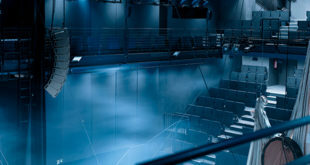 The 350-capacity space, which was given an overhaul in 2009, is the Royal Albert Hall’s secondary performance area, and hosts everything from ‘Late Night Jazz’, ‘Classical Coffee Mornings’, comedy and cabaret evenings, to family and educational events.